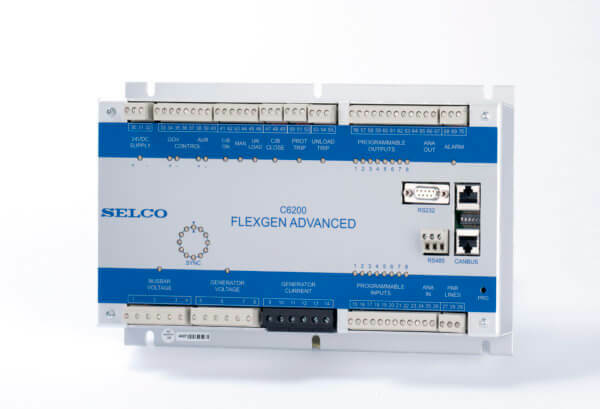 The Selco C6200 FlexGen provides integrated protection, frequency stabilization, voltage stabilization, check and automatic synchronization, active and reactive load sharing, programmable inputs and outputs and data acquisition. 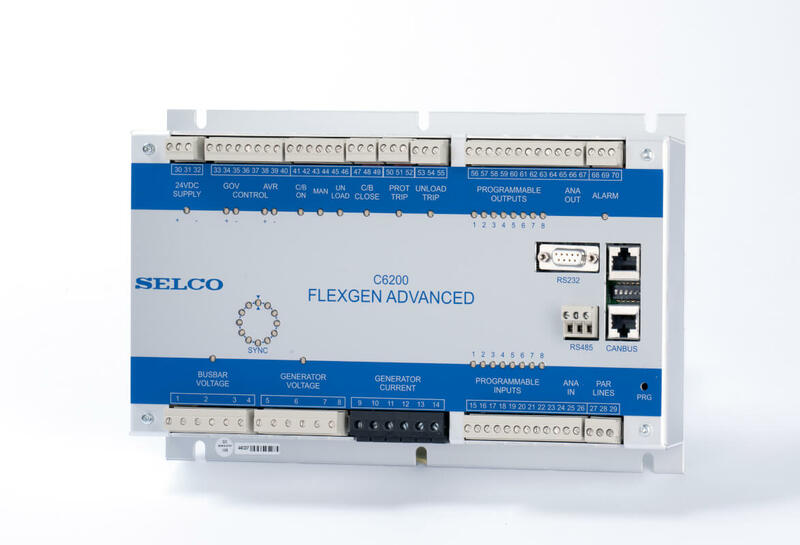 The SELCO C6200 GenController provides load depending start and stop, automatic synchronization and active / reactive load sharing for one diesel generator (3 phase). The C6200 will also ensure that the generator is always operating at the nominal speed / frequency no matter the load. Advanced grid paralling and Power Factor function are provided as standard. Programmable inputs and outputs allows for easy integration with PLC control. The C6200 can be operated in either fully automatic mode, semi-automatic mode or in manual mode.